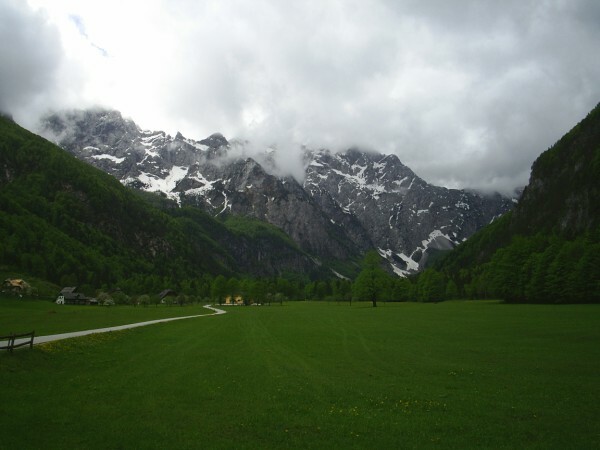 After a great night’s sleep at Majdač we rode through Solčava uphill along the Savinja river to Logarska Dolina – a beautiful short, flat valley with tall mountains around it. It’s worth it to go just to ride along the valley, but there are accommodation options there if you want to stay overnight. The Savinja river begins in Logarska Dolina as a small creek, and we followed it for the rest of the day along it’s long descent through the upper Savinja Valley. It didn’t take long for the Savinja to grow from a fast flowing creek to a fast flowing river. It had been lovely weather all day, but around Ljubno it started to rain again. We hid from the cold rain in a petrol station (of which all in Slovenia are named “Petrol”) and bought some food and, most importantly, a good road map. The only map we could find in Australia was a 1:500 000 that covered most of the region, so a local map with the camping grounds marked was a vast improvement. After the rain eased we continued down the valley to the nearest campsite, which was in a small village near Rečica. The guy there offered us a place in the campsite’s hostel for an extra euro each above the camping cost, so we took that. It felt a little like we were guinea pigs for the hostel, because it was a bit dodgy (it didn’t seem quite finished) and we were the only ones there, but it was comfortable and warm. There we ate, drank cheap wine, and were generally quite merry. 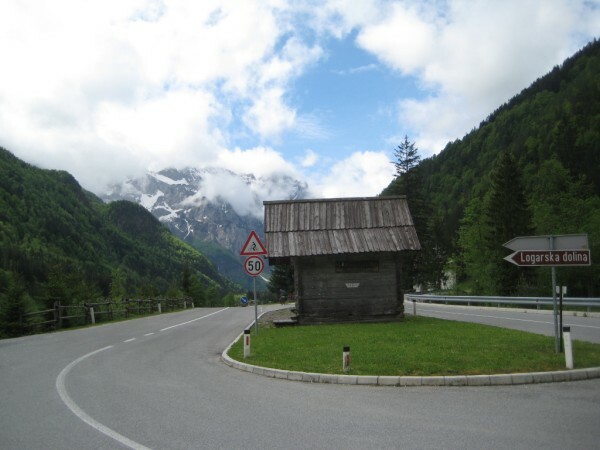 This entry was posted in Slovenia and Croatia and tagged Logarska Dolina, maps, Savinja River, Slovenia, Upper Savinja Valley, Varpolje by wally. Bookmark the permalink.